Benjamin Wieler of Toronto, Canada is not your ordinary vintage book seller. 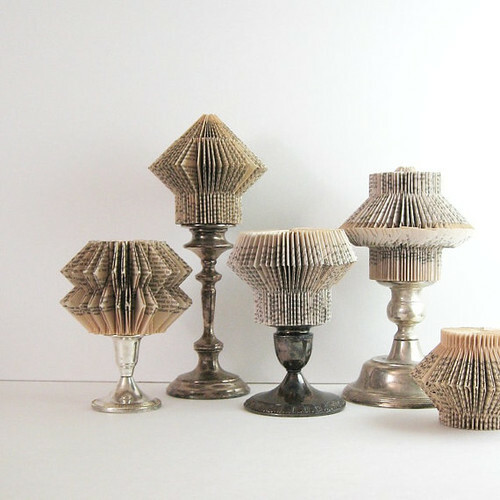 In addition to pages and pages of title listings in his Etsy shop, bookBW, you'll find a thoughtfully curated selection of art objects he creates from old books. 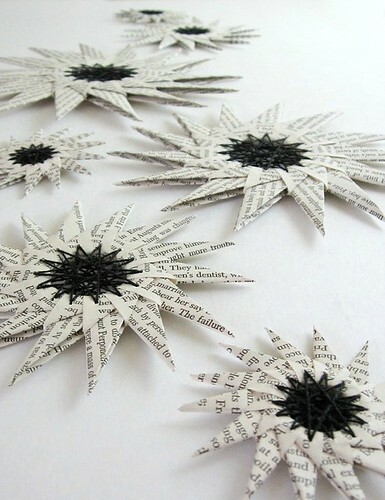 For example, origami is combined with hand embroidery to form an imaginary paper star constellation. 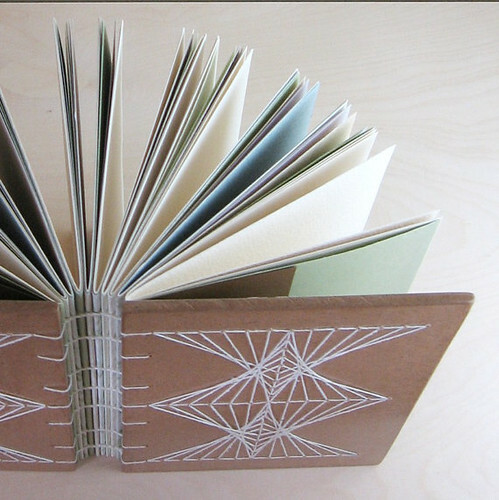 He made this coptic-stitched artist journal using a variety of softly colored papers as the pages. 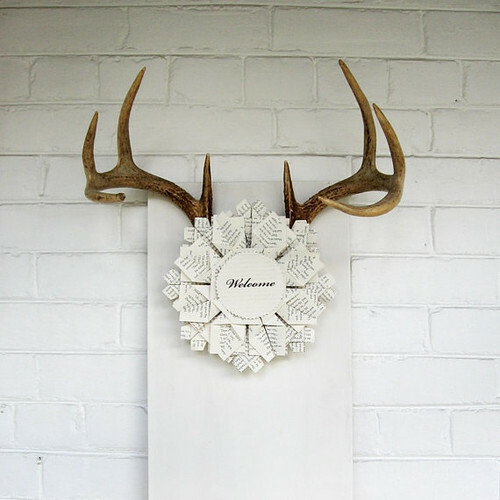 With the holidays on the horizon, Benjamin's clever origami snowman and personalized wreath will add to the merriment. 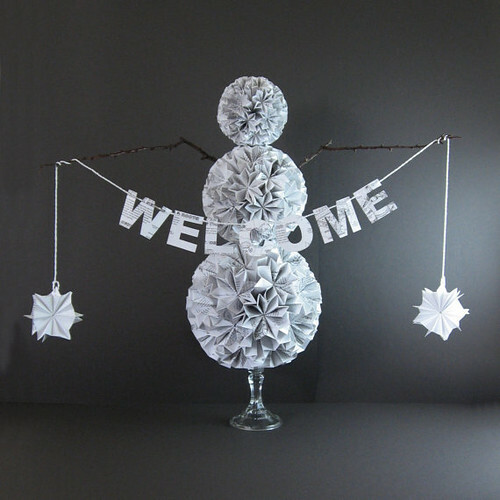 Remove the twig arms and snowflakes for an elegant year-round topiary. Benjamin's background in print and textile design is evident in each piece he creates. 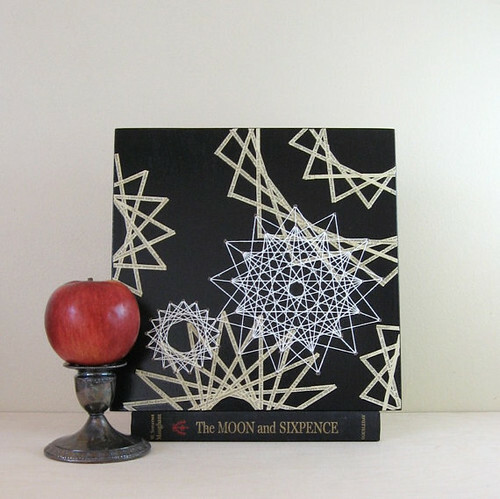 For his Constellation series, Benjamin cut paths of text from Charlotte Brontë's Jane Eyre to form stars that mingle with spirographic string art. Fitting, because the timeless story tells of single people who find each other and stitch together their own family. 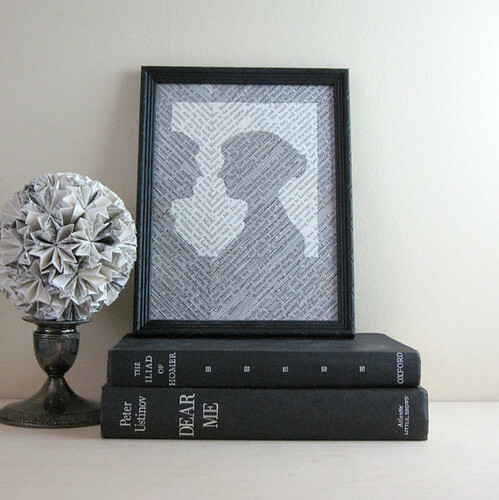 This hand drawn silhouette of Jane Austen was created from mitered pages taken from a vintage edition of Pride and Prejudice. 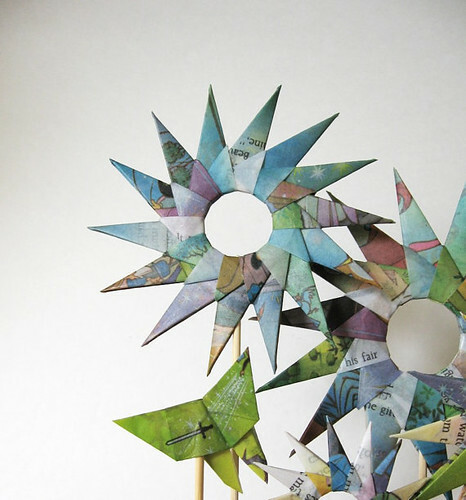 For those who prefer a splash of color, Benjamin makes fun star gardens from illustrated books. Here, flowers and butterflies were folded using pages of a Sleeping Beauty Golden book, dipped in wax, attached to bamboo stems, and displayed in a pine base. He also does custom design... perhaps have him transform a beloved book from your childhood. Benjamin Wieler's website and bookBW Etsy shop. If you'd like to receive my occasional All Things Paper newsletter that features posts like this one, sign up here. Thank you Ann for this terrific feature. I love the snowman and the wreath. How neatly folded. All projects are unique ...especially like the silhouette! Oh, how beautiful. 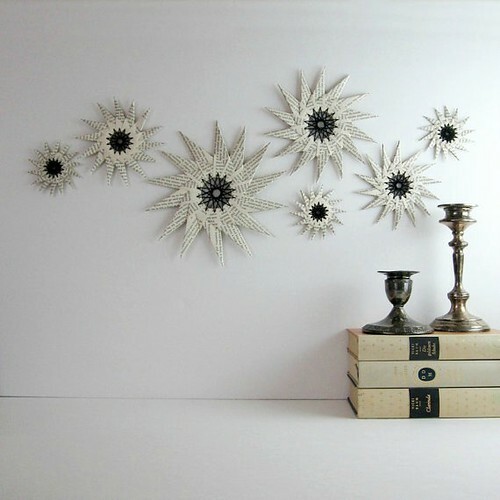 I love that he uses vintage papers to make these paper masterpieces. Yes, great for holiday decorating.